The Worcester SCORE Chapter received SCORE’s national recognition in 2012 for a Chapter Best Practice: our innovative Youth Entrepreneurship Project. 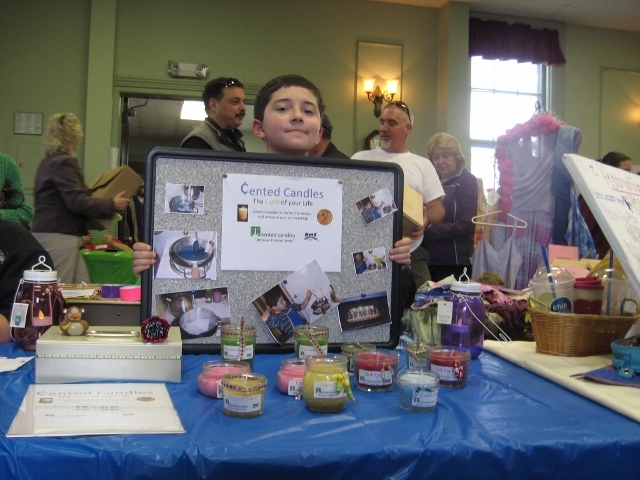 A spring pilot project helped 72 students in grades 4 to 8 to launch over 50 new “businesses” in six weeks. The project and business launch resulted in numerous local news articles about the program and publicized SCORE's free availability to assist all area small businesses. This successful program repeated annually in North Brookfield through 2016. The Worcester SCORE chapter purchased an entrepreneurial education program titled TREP$, which is a play on the word enTREPreneurs. The chapter placed the TREP$ program in SCORE's library and promote its loan to Parent/Teacher groups within our chapter’s geographic area. Worcester SCORE mentor Jim Metcalf presented it first to a small nearby community elementary school that was significantly affected by the poor economy. A joint venture was formed with a Parent Teacher Organization. This alliance modified the standard TREP$ program slightly, with the PTO providing instruction and program supervision while SCORE provided counselors to review business plans and provide counseling in marketing, sales, finance and promotion. Regarding costs, our SCORE Chapter purchased and retained the TREP$ program for loan, while the PTO funded materials and supplies. Participants were charged a fee for the workshop workbooks. We expected 25 to 30 participants to sign up for this six-week after-school program, which added 90 minutes to their school day once per week. We were surprised by the 72 highly motivated youngsters who were driven to learn about and launch a business. In this time of small class sizes and discipline issues, we were amazed by the 72 children sitting quietly at tables in the school cafeteria. The TREP$ workshops are designed to present the usual business topics of innovation, customer needs, finance, marketing, business planning and sales in a format of lecture followed by a related activity. These kids' attention was never an issue. The workshop on business plans included 20 SCORE mentors, bankers, and business owners who listened to and commented on the students' business plans. At each table sat 4-7 kids, and we rotated the counselors among the tables so that participants could experience a number of business planning interactions. The kids were excited by the advice they received from business professionals, but the business counselors were equally excited by the business ideas being generated. Many of the business leaders followed these ventures through launch and took pride in each success. The culmination of the TREP$ program is a community marketplace where the businesses are launched. For this pilot project we decided to attach the marketplace to a major community event, in this case a Saturday Library Spring Festival focused on local farm, garden and craft activities. A church offered us their community hall and grounds for business setups. Some of our students formed partnerships complete with partnership agreements. Overall the 72 participants launched 52 new businesses. Some sold plants and flowers. Some had manufactured and sold everything from shelving and tool boxes to jewelry and original greeting cards. Others sold services like landscaping, baby sitting and dog walking. One artist sold cartoons, and an avid chess player wrote and sold a chess instruction book along with lessons. Some students wanted to launch food businesses, but state and local food preparation regulations prevented these opportunities. However, during the business plan counseling sessions, modifications were made to instead launch pet food and treat businesses. Some businesses sold out within an hour. Some began discounting strategies during the final hour of the marketplace. All students reported success and showed full cash boxes to support their success. Was this SCORE program a success? Absolutely, this was not a game. 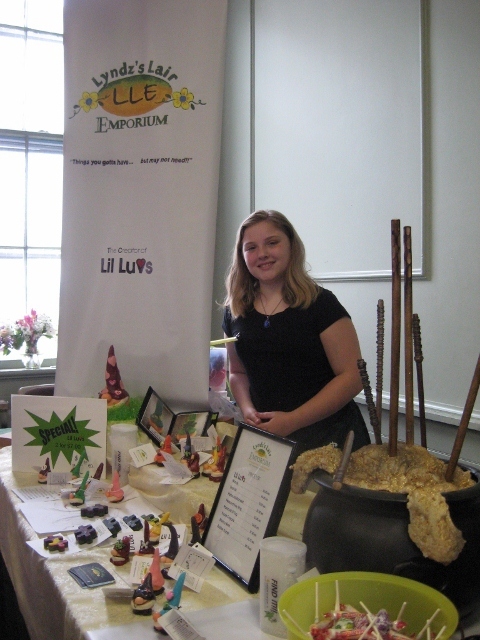 The students learned about and launched viable businesses. Many are continuing as income producers. Some have built online and social media sites for sales. Some are building their babysitting or lawn mowing clients. The chess player is developing an instructional DVD for sale. A number have appeared as vendors at community fairs and activities. The community is very excited about youth entrepreneurship and wants to continue and expand this project. Other communities that read about this project have asked how they might install youth entrepreneurship programs in their towns. Most exciting was the fact that the school surveyed students for interest levels to repeat the project next year. The interest is unbelievable, with an estimate of the participant group growing from 72 to 150. SCORE is an invaluable resource for new, growing and floundering businesses. In addition to individual free counseling, SCORE mentors present a number of business education programs and public seminars. More programs are being planned to provide effective business instruction and mentoring to everyone from vocational/technical school graduates to home based business owners. The results of this pilot youth entrepreneurship program have been stunning, with a number of residents thanking SCORE for bringing this project to their town. However, there are more benefits which can be attributed to SCORE and this program. Some of these businesses are combo parent/child businesses like a daughter/father lawn mowing business, while others had strong parental assistance. Many of the kids in this project asked if what they learned could be applied to other businesses which they might operate throughout their high school and college years. Although our chapter's main focus is otherwise on traditional adult-run businesses, here we encouraged 72 youngsters to successfully launch their own businesses from their own ideas. They will not forget what they learned, and many will want to continue to experience the exhilaration of a business launch and success.